Welcome to the New DowntownGallatin.com! In an effort to increase visibility, awareness, and visitors to the Downtown Gallatin area we have created a new and powerful website. 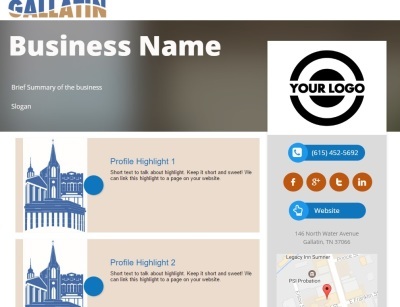 All businesses located in Downtown Gallatin will now have a profile, but we need your help to ensure your profile's greatness. Take a look at the example profile! Complete this form, and email us your content!